In yet another sign that hydrogen is creeping into the consciousness of global automotive designers, sports car maker Aston Martin plans to run a hydrogen-fueled vehicle in a 24-hour Grand Touring (GT) race later this month. 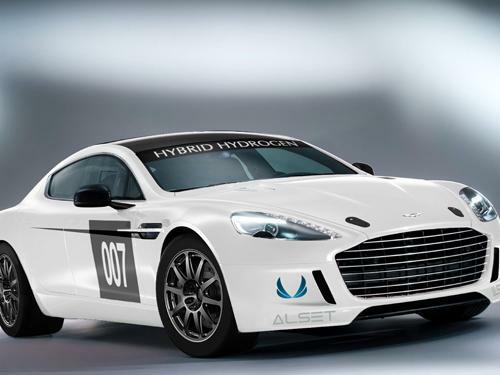 Aston Martin’s Hydrogen Hybrid Rapide S will employ a 6.0-liter, V12 engine capable of burning hydrogen or gasoline in the ADAC Nürburgring GT race in Germany on May 17. It will reportedly be the first hydrogen-fueled entrant to race in such an event.”Our goal was to compete with this engine in the ADAC 24 race in Nürburgring,” Matthew Clarke, spokesman for Aston Martin, told Design News. Aston Martin’s use of hydrogen in such a high-profile venue is a first for the racing community, and it serves as a sign that automakers are acutely aware of the need to look at the long-term possibilities of hydrogen. Earlier this month, Toyota announced that it plans to sell a hydrogen-powered vehicle for between $50,000 and $100,000 in 2015.Aston Martin’s Hybrid Hydrogen Rapide S will employ the company’s new AM11 V12 engine. It will, however, enhance the naturally aspirated V12 with twin turbochargers as a means of reducing the engine’s compression ratio from 11:1 to 9.5:1, to accommodate hydrogen. Working with engineers from Alset Global, Aston Martin also optimized the software in the engine’s electronic control unit (ECU), enabling the vehicle to switch back and forth between the two fuels. The ECU enables the driver to burn gasoline, hydrogen, or a blend of the two fuels. The V12, which offers approximately 550 HP when burning gasoline, is likely to hit a similar number with hydrogen. In the Nürburgring race, Aston Martin will employ four hydrogen fuel tanks — two in the trunk and two more where the passenger seat would otherwise reside. Pressure for the tanks will be maintained at 350 bar. A fifth tank will store gasoline.